From release-to-release, functionality of systems will change. Using Hexawise solves all 3 of these problems within a few seconds! 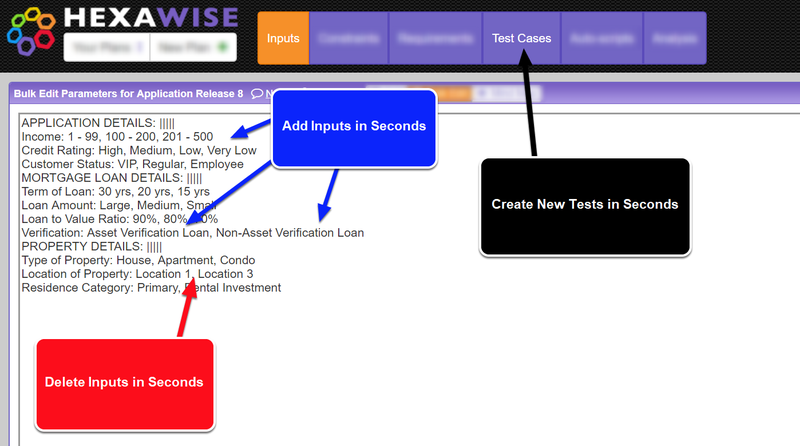 Optimized test generation tools like Hexawise will create entirely new test sets each time you modify test inputs. You'll have entirely new tests for each release. That can cause problems if you need to spend a significant amount of time to redefine your Expected Results for each and every (brand new) test in every release. For that reason, you should strongly consider using the Auto-Scripts feature of Hexawise and systematically-generate Expected Results. Hexawise's Auto-scripting feature allows you to quickly include detailed tester instructions for test scripts. Hexawise's Expected Results feature allows you to save time by systematically calculating Expected Results for your test scripts. You can create an account at hexawise.com/free. 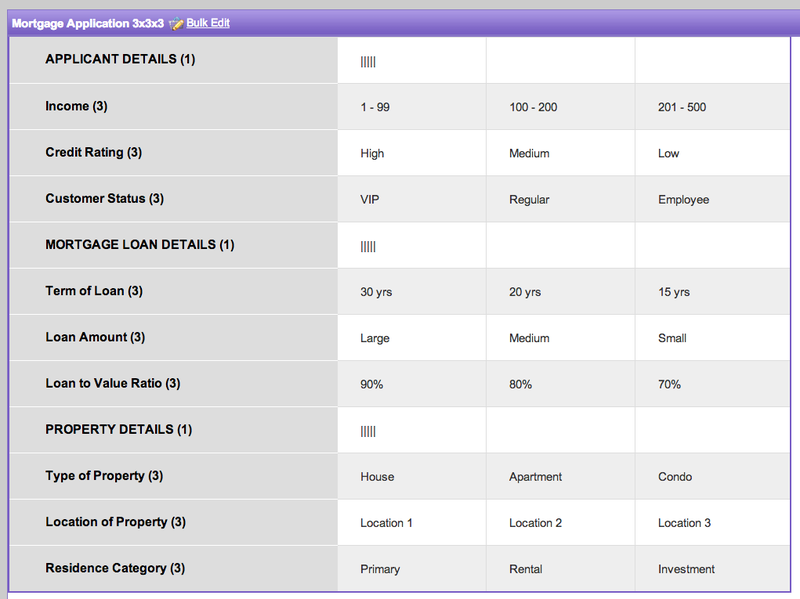 (While some restrictions apply, that will grant you free access to the Hexawise test design tool). Open your Hexawise account, then cut and paste this URL into your browser: https://app.hexawise.com/share/EU4EW3WZ Doing so will automatically add the three sets of tests mentioned above into your account. Feel free to modify them and explore Hexawise!